Weekly Abroad meets Finnish designers building their career around the world. Anna Lehmusniemi designs bags in Brussels. Whether or not there’s a full-blown fashion-industry revolution on the horizon, clear signs of change are unmistakable. From the ethics of wearing fur to the push-back against the rapid pace of production, both consumers and designers are increasingly speaking out for the merits of slow fashion. Brussels-based Finnish designer Anna Lehmusniemi is one of a growing band of brands seeking to produce high-quality, beautiful accessories as sustainably and ethically as possible. Her handbag line NO/AN, founded in 2016, is as much the result of her years of education and experience as it is her antipathy to the frenzied pace of the fashion industry. 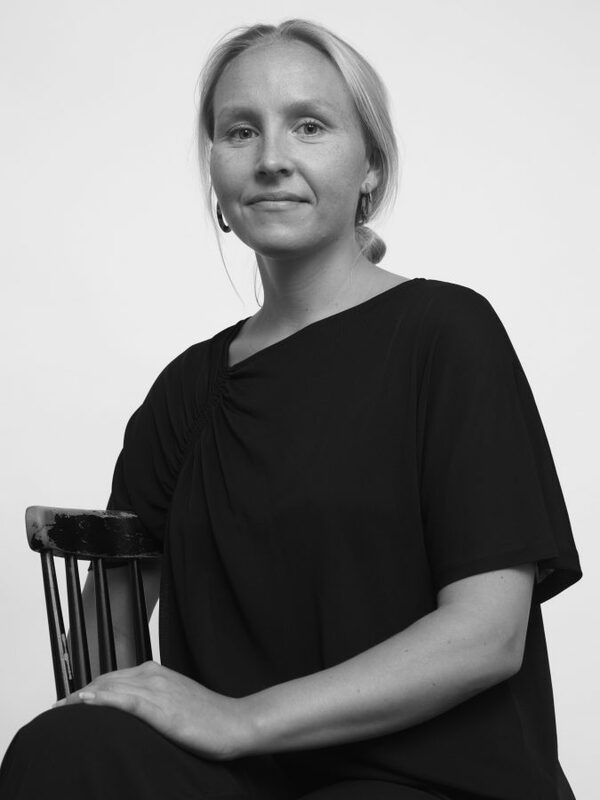 Lehmusniemi’s own appreciation of quality design was honed during her BA studies in fashion design at the Novia University of Applied Sciences in Turku and a subsequent MA at the University of Lapland. An early stint with Swedish clothing company J. Lindeberg opened Lehmusniemi’s eyes to the myriad possibilities in fashion, possibilities which helped her to realise how difficult she’d find choosing just one area to focus on. After moving to Brussels in 2012, she eventually started working as a handbag designer for a company that produced bags for a number of different Belgian brands. In building an accessories company she could stand behind, labour and materials sourcing became as important as slowing down the pace of production. As such, rather than produce multiple collections per year, NO/AN is conceived around one stable collection which instead expands through gradual introductions. Lehmusniemi also privileges an ethical approach to the production of her handbags, all of which are produced in a family-owned atelier in Portugal. Rather than factory-style production where each worker produces a single component, a NO/AN bag is crafted by a single artisan from start to finish; their name signed into the completed bag. Although Lehmusniemi originally moved to Brussels because her partner accepted a job offer, she seems to have made the city her own. She took time to learn French and is busy building up a company which is as rooted in the city as it is in its European neighbours. Lehmusniemi may live in Brussels, but her company is based in Finland (where she maintains stock), her bags are produced in Portugal and then shown across the continent’s fashion capitals. Lehmusniemi insists that she hasn’t abandoned her Finnish roots. Despite her time in Belgium, the designer maintains that NO/AN, with its timeless, minimal aesthetic and emphasis on simplicity and authenticity, is deeply rooted in her Finnish identity. As for what the future holds, given that NO/AN is just two years old, the brand is still in its early days. In its first year, Lehmusniemi continued to work for another handbag company. Now, she’s working for her company full time, developing as a designer and as a businesswoman. This month she will collaborate with other brands and open her first Antwerp-based showroom where press and buyers can view the collection. “I think it’s good to take risks, but calculated ones” Lehmusniemi says. “I’ve learned more in the last two years setting-up my own company than at the beginning. I want to see how far I can take this and how much the business can grow, but in a human and controlled way”.